There are no photos with those IDs or post 22669 does not have any attached images! This year the Mercau will be preceded by two weekends with a Thematic Days of the Jabas and another one of the Cider, in several establishments of the San Jorge Valley. In the El Cabañon Restaurant (Naves), by Rafael Peláez Valle (Pest Management Advisor), Paula Álvarez González (Dir. Tec. IGP Faba Asturiana), Sergio Suárez López (Producer) and Javier Pérez Robledo (Envasador La Casa of Valía). Casa Angélica (Villahormes), Casa Raúl (Naves), and Casa Pilar, El Nido de Robin, La Central and Sidrería Muros, in Nueva. Menu 20 euros, only under reservation. In El Llagar El Cuchareru (Nueva), by Tano Collada (Eng. Tec. Agrícola Enólogo), Javier Niembro (Sidra Pamirandi-Asiegu) and César El Cuchareru (Producer). Casa Angélica (Villahormes), Casa Raúl (Naves), and Casa Pilar, El Nido de Robin, La Central and Sidrería Muros, in Nueva). Nueva de Llanes will host On Sunday December 11 the second edition of its Mercau del Tardíu, organized by the Association of Mothers and Fathers of Students of the Public School of the town. -WALK TO THE MUNDU DE LA CIDRA: process and elaboration. -PRIMERAS JABAS DEL VALLE: exhibition and sale of the different varieties of Jabas from the San Jorge Valley. -MERCAU OF PRODUCTS: Popular market of products of the garden and homemade elaborations. Draw of the Basket of the Tardíu. 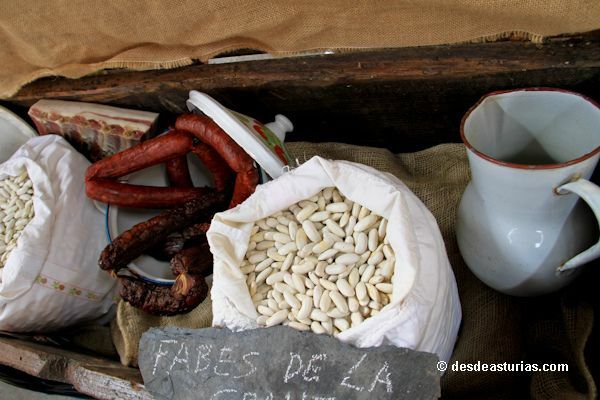 In this initiative the "Association of Entrepreneurs of the Valley of San Jorge", producers of the Valley of San Jorge and the City of Llanes collaborate.